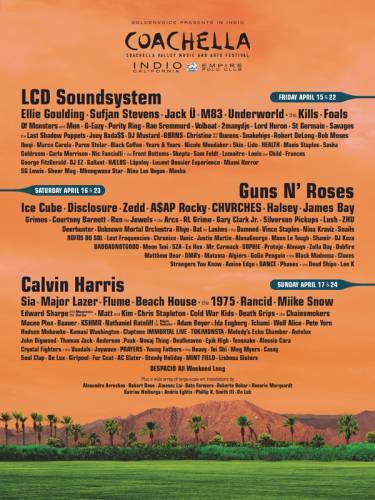 Coachella is upon us, and the festival organizers have just announced the set times for this weekend&apos;s lineup. We have thoughtfully typed out the full lineups for you from these posters, during which time we learned new names like "DJ Mustard." Below you&apos;ll find where he, and others, will be and at what time. 3:35 p.m. Gary Clark Jr.